You can now receive a digest email that will update you on how many new responses your surveys have received. You can determine the frequency for each of your surveys from as often a daily to weekly. This feature is available to all Organisation account users. Ask our Support team about upgrading at help@jisc.ac.uk. 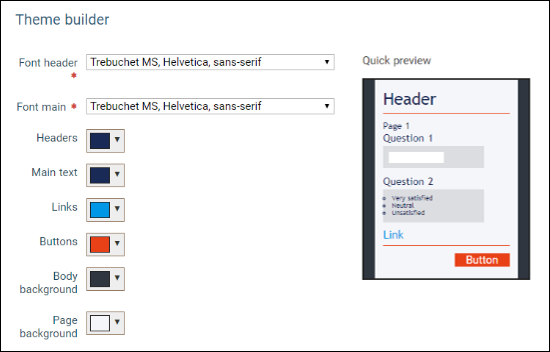 You can now personalise your survey by choosing your own colours and fonts using our theme builder. 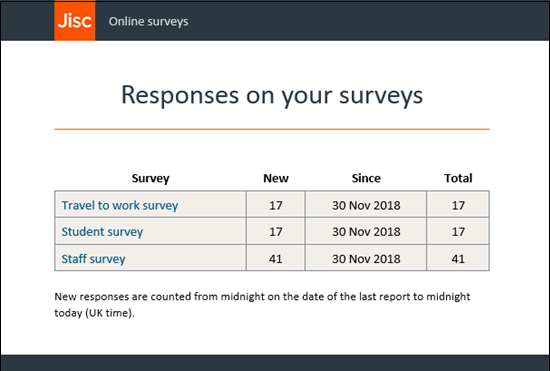 You can share your theme with your other surveys and, if you are an admin in an Organisation account, you can make your theme available to all users on all surveys in the account.